Working with or interested in international development, global challenges or development-related research? Bergen Global is a joint project between the University of Bergen and Chr. Michelsen Institute. 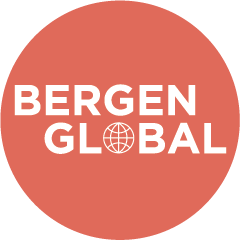 After ten years as Resource Centre for International Development, in January 2019 our name was changed to Bergen Global. At Bergen Global we strive to create a common platform for researchers, academics, students and others who share our interests for development-related issues. In collaboration with researchers at UiB, CMI and other relevant research groups, we organise about one hundred open lectures, seminars, literary salons and other events each year. A range of events are organised in collaboration with existing research centres or research projects, like Breaking BAD: Understanding the Backlash Against Democracy in Africa, IMER Bergen International Migration and Ethnic Relations Research Unit, and the Centre on Law & Social Transformation. We also share our workspace with researchers and students associated with LawTransform. We welcome researchers, departments, organisations, and others to collaborate with us. In addition to our events, our library houses one of the largest specialised collections in Norway of books and periodicals on Africa, Asia, the Middle East and Latin America. If you are looking for books on development-related topics, a place to read, or if you want to attend one of our events for a great discussion, Bergen Global is the place for you. Our opening hours are 09:00–15:00 Monday to Friday. Our library and all of our events are free and open for all.